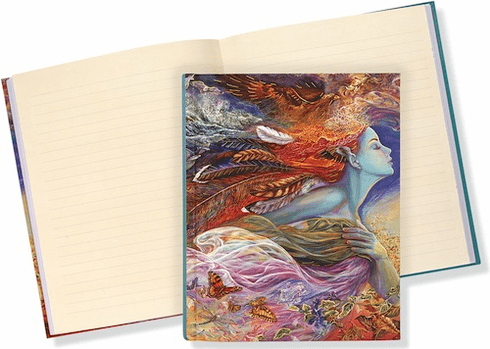 This enchantingÊjournal designÊcomes fromÊThe Spirit of Flight, a painting by popular fantasy artist Josephine Wall. ''The force that powers wind and air, the Spirit of Flight is personified as a luminous goddess surrounded by dynamic elements from nature.'' Writing journal is embossed and enhanced with gold foil.Ê192 creamy-smooth, lightly-linedÊpages take pen or pencil beautifully.